There is something about Paweensuda Drouin that disarms anyone that she converses with. I am yet to meet her personally but the way she deals with interviews – in her cute, soft-spoken twang – can captivate even those who only watch her via YouTube. She’s a charmer, that’s for sure. I can tell from afar she has a genuine heart and that she totally enjoys the rigorous demands of beauty pageants. Our correspondent who covered Miss Universe Thailand 2017 pageant couldn’t agree more. When she was selected as Miss Earth Thailand 2017, I knew right away that she will be the perfect ambassador for her country. She may have fallen short in winning the Miss Universe Thailand crown but she got the next best thing. She will be forever written in pageantry history should she win Thailand’s first ever Miss Earth crown. 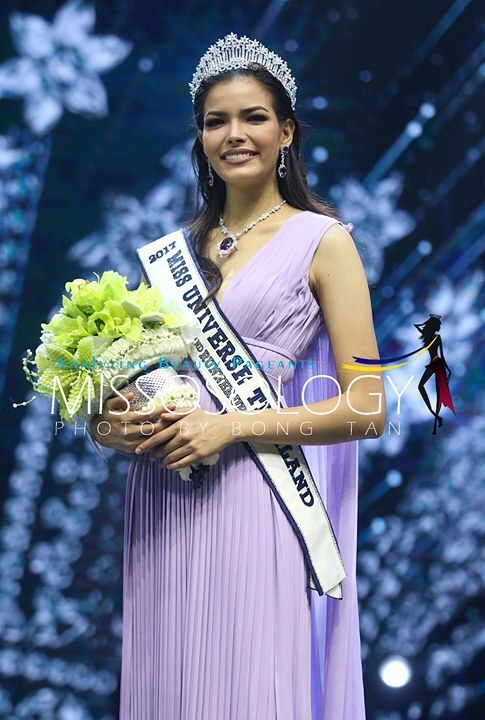 Paweensuda has a great rapport to people and it will come as a little surprise to all that she has been chosen as Missosology’s People’s Choice awardee for Miss Earth 2017. It is undeniable that the general public simply loves her. During the media presentation, she was only edged out by local girl for the Darling of the Press award. That’s a crystal clear indication that her charm works even outside of her home turf. Tonight, someone will walk away with the Miss Earth crown. I hope and pray that it will be Paweensuda. My colleagues and select group of beauty experts have chosen her to top our final Hot Picks. Needless to say, they were beguiled by her beauty and character too. We are hoping that the judges will see what we have seen in her for it is to the best interest of Miss Earth that someone advocating for environmental awareness can disarm anyone she talks with.